Blue Lacing w/ Custom Two-Piece Solid Web. 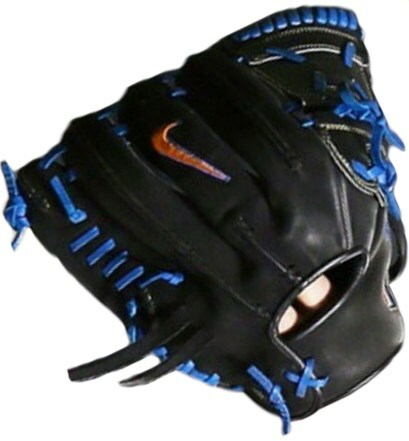 Harvey has a wicked black Nike with a Mets’ blue custom lace-job. Those four stripes of lace on the pinky of all Nike Diamond Elite gloves look nasty with this color combo, unfortunately, Matt Harvey’s glove is not available online. Categories: Gear, Glove, New York Mets, Pitcher, Matt Harvey.